Membership in the Brookfield Chamber of Commerce is the single best investment you can make for your business. No matter the size of your business, we are dedicated to providing you with the resources, networking opportunities, and community connections that you need. Our focus on nurturing and supporting businesses takes many forms – coordinating community events, offering continuing education, recruitment of new industry, and mentoring new leaders. Right now, with approximately 250 business members, the Brookfield Chamber of Commerce is a strong voice of business in our community. Concerned members work on issues relating to economic development, youth leadership development, adult leadership development, education, business development, community beautification, and many other areas that make a difference every day in the business climate of our community. We speak out on the issues, take the time to get informed, and commit ourselves to making a difference in our community. Joining the Chamber is easy, and you can start enjoying benefits right away. Attend our variety of networking events, step up to take a leadership role on one of our committees, and take advantage of our educational offerings. 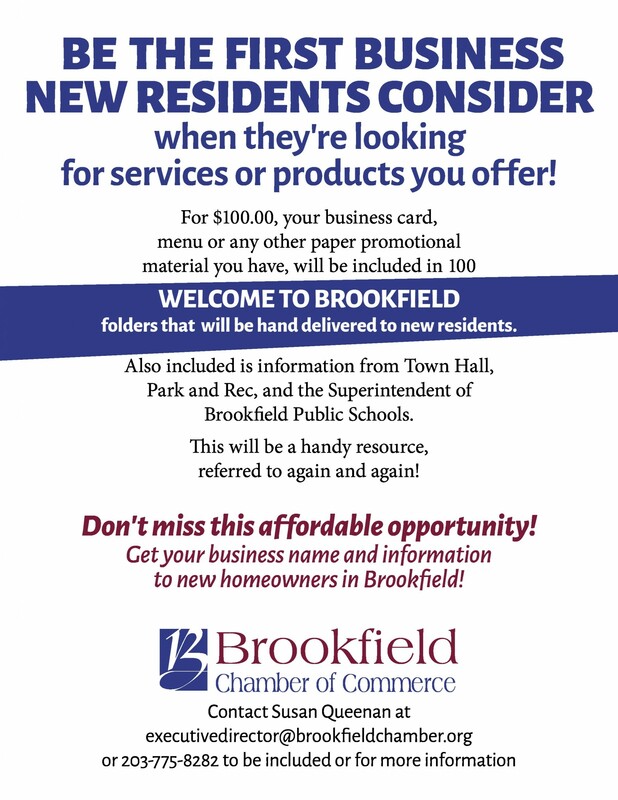 At the Brookfield Chamber, we’re looking forward to helping you grow your business. Start today.